Chapter Historian B.A. 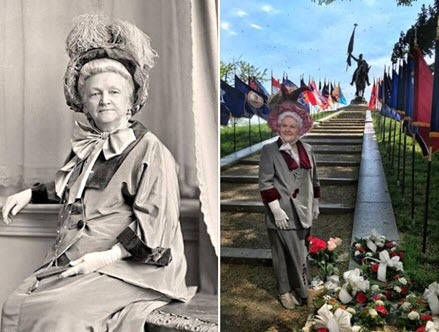 Church as Mary Simmerson Cunningham Logan (Mrs. John A) for an in-character presentation at the Logan statue in Chicago. Chicago Chapter promotes the study of American history in our community and schools. The chapter gives awards and certificates to students who participate in our essay contest on various topics in American history. Recent essay themes have been the midnight ride of Paul Revere and the story of Christopher Columbus.